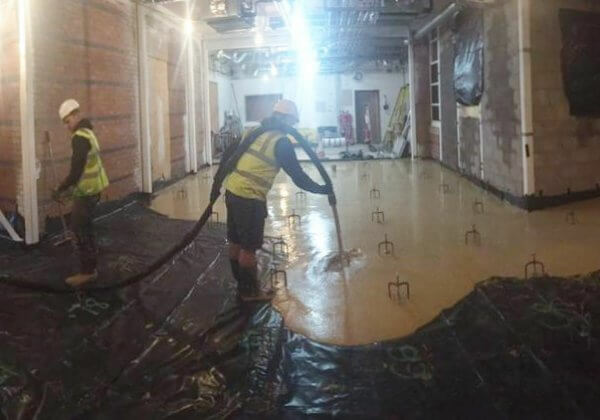 Easyflow worked with William Gough Ltd, a leading principal building, refurbishment and framework contract specialists in the West Midlands, to supply, pump and install the liquid floor screed for the new Discharge Lounge extension at Worcester Hospital. Care was taken to visit site before our works commenced in order to carry out a site specific risk assessment and method statement and traffic management plan as the site would remain open as working hospital during our screed pour. M & G Builders Shropshire is a general building company based in the Shropshire area specialising in renovations and conversions. 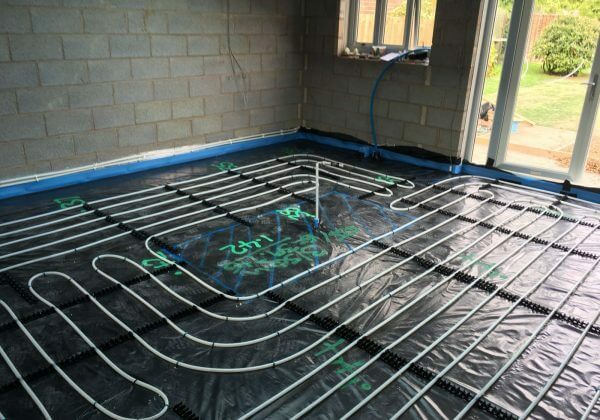 Easyflow worked closely with the builders to supply and install a low profile reflective insulation, underfloor heating and liquid floor screed at a property in West Shropshire. Insulation, underfloor heating and liquid screed over 221sqm. 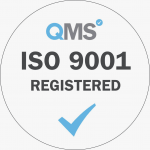 Easyflow holds approved quality management systems (ISO 9001 : 2015) applying to the design of underfloor heating and the supply and installation of insulation, underfloor heating and liquid screeds. Our installers installed a 1200 gauge damp proof membrane before insulating with a combination of 75mm and 25mm insulation boards due to an uneven existing concrete sub-base. 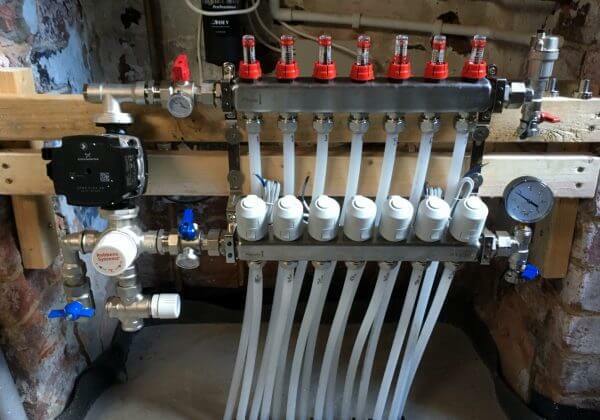 A central location was chosen by the client for our installers to locate the manifold before installing flexible PEX piping in accordance with a bespoke design. Installers took a laser level survey of the floor in order to accurately calculate the quantity of screed required to meet set datums. 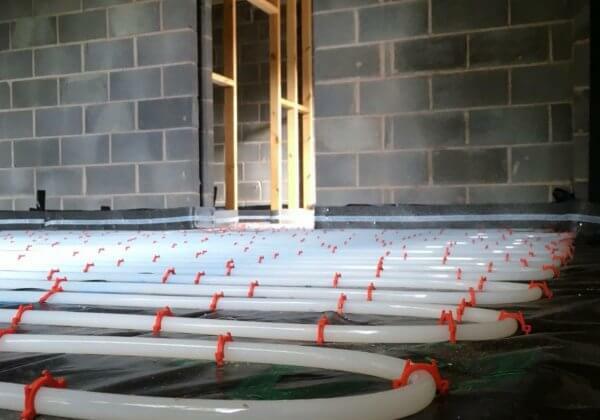 The Easyflow team then supplied, pumped and laid the screed as required. 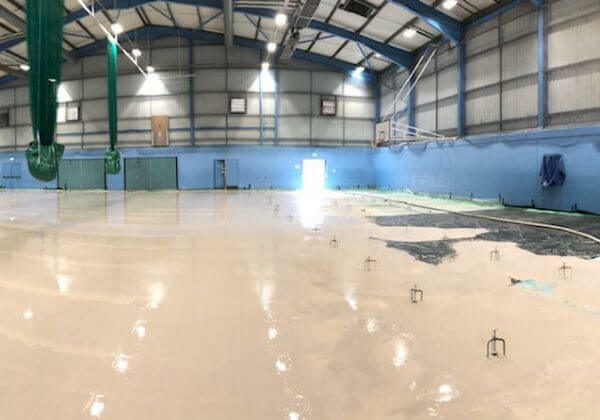 Our client, Cooper & Williams, contracted Easyflow to carry out the floor preparation and liquid floor screed for a large leisure centre refurbishment. 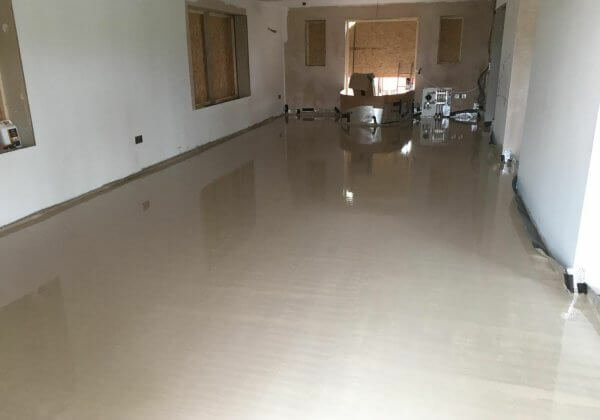 Because of damp issues we supplied and install a 1200 gauge damp proof membrane before installing a 60mm anhydrite liquid floor screed over 840sqm. Cooper & Williams is a family-run business, providing homes and businesses in Shrewsbury and Shropshire with award-winning, superior quality roofing, flooring and tiling services. Established since 1970, we have a wealth of experience in each of our three specialist divisions dedicated to roofing, flooring and tiling.